The area is full of wonderful places to spread out a blanket and have a picnic, and each spot will give you a completely unique experience. Whether you are looking for a beautiful view, a spot to wear out the kids, or a romantic hideaway, Prince William & Manassas has it! Choose your picnic experience below. Lake Ridge Park is the perfect place to appreciate every moment as the sun rises over the lake. 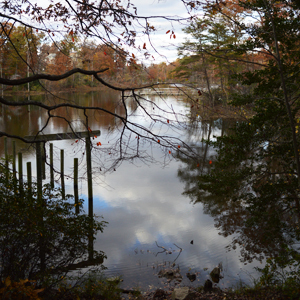 Take in the view at the lake, then head over to Mom’s Apple Pie in Occoquan to grab some coffee and a sweet treat. **Local Tip: There is a lookout above the lake (pictured) if you go away from the lake on Cotton Mill Drive and take the first right. On Saturday evenings in June & July, Virginia Gateway in Gainesville, VA hosts picnics on the plaza. Shop at upscale boutiques, then drop yourselves on the plaza to listen to live music. **Local Tip: Skip the picnic basket and take advantage of specials at the many signature restaurants nearby. The Winery at La Grange is the number one go-to spot for a picnic with some wine. 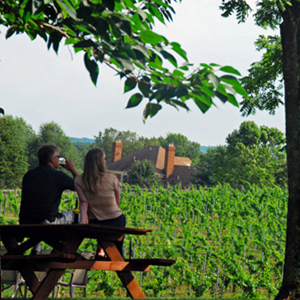 Do a tasting, then grab a glass and take a seat with a view of the beautiful Bull Run Mountains. If you go on the weekend during the summer or fall, you should be able to catch some live music as well. **Local Tip: Definitely try the seasonal sangria. It is the perfect drink for relaxing in the summer sun. Because of its size, it is easy to find a secret spot for some alone time in Prince William Forest Park. Grab a picnic basket with a bunch of little goodies and enjoy each other’s company in a natural setting. **Local Tip: Look at the map to find the waterfalls and bridges and you will find some beautiful, secluded spots. Leesylvania is the perfect park to take your kids. With regular events including Music at the Marina and a number of fun hiking trails, your children are sure to be worn out by the end of the day! There are plenty of picnic tables with views of the Potomac River so you can enjoy a quiet evening picnic. **Local Tip: Bring a blanket so that you can spread it out on the small beach located right off of the Potomac.